Foodary takes your favorite foods, with any special health requirements, to create personal healthy eating plans. 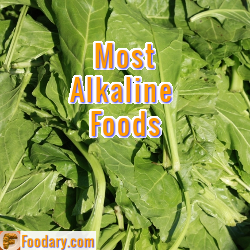 At the starter level, you can adopt a healthy alkaline diet. Foodary explores the science behind alkaline diets, then presents the facts to help you make better food choices. If you have specific health problems, Foodary explores the science behind the effects of food on health conditions. Working with Foodary, we can tweak the standard alkaline diet to provide personal healthy food options. Tell Foodary what your favorite foods are. Tell Foodary about your health issues. Get Healthy Recipes for your health from Foodary. You share as much or as little information as you like. Get general healthy eating plans, or add personal needs and desires to get personal plans to satisfy your health and appetite. This is still part of the Foodary healthy eating support services, but it does not suit everyone. It can be tedious to enter everything you consume into a food diary. Many people don’t want to track what they eat now – they want new healthy recipes. Foodary Healthy Recipes is a 2014 initiative to simplify the process described in the opening paragraph. Nice, simple, healthy recipes that acknowledge your personal health needs. You can still track consumption if you want, and get access to personal recommendations based on your history. It’s an option if you want it, or you can just go with the suggested healthy recipe plan. Keith Taylor takes customer service extremely seriously. All clients have immediate contact details. As there are currently no paid services on the Foodary website, the customer service contact details are not relevant. If you have found something on this website that you do not agree with, please use the contact details linked above. Is it a forum, helpdesk, or network? Whatever you call it, it is a place to ask questions or share opinions and experiences about healthy eating. Find out how to get the best from Foodary Healthy Eating Group. Convenient food facts at your fingertips. Stay updated about alkaline foods, nutrition data, and healthy recipes. Get Foodary Food Facts Update Service now. Use the Foodary Search Engine to find information about alkaline diets, nutrition data, and healthy recipes.